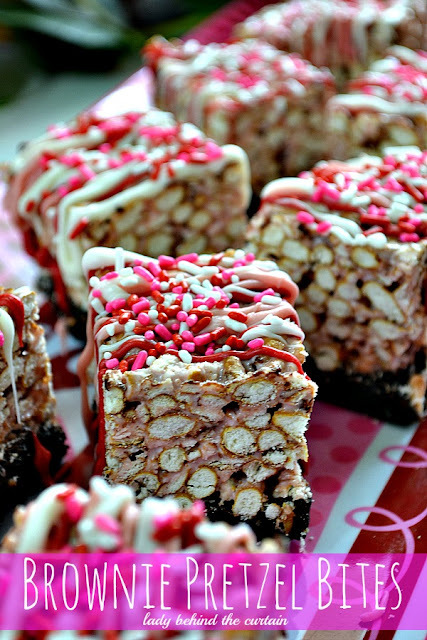 These brownie pretzel bites are all dressed up as a Valentine's day treat, but lets be honest, the combination of brownies and pretzel is something that you will be able to enjoy all year long. Maybe too much. You can get the recipe for these pretzel brownie bites over at Lady Behind the Curtain. Brownie pretzel bites. I've died and gone to heaven. These look so delicious.